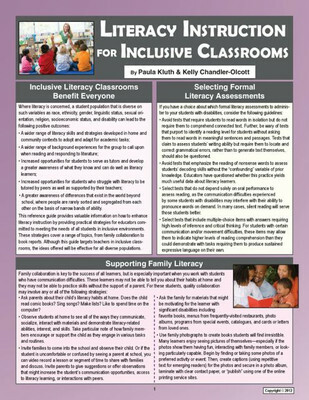 Paula Kluth, EdD is a consultant, author, advocate, and independent scholar who works with teachers and families to provide inclusive opportunities for students with disabilities and to create more responsive and engaging schooling experiences for all learners. She is a former special educator who has served as a classroom teacher and inclusion facilitator. Her professional interests include differentiating instruction and inclusive schooling. She is the author or co-author of twelve books including, You’re Going to Love This Kid: Teaching Students with Autism in Inclusive Classrooms; A Land We Can Share: Teaching Literacy to Students with Autism; The Autism Checklist; Joyful Learning: Active and Collaborative Learning in the Inclusive Classroom; and From Tutor Scripts to Talking Sticks: 100 Ways to Differentiate Instruction in K-12 Inclusive Classrooms. She is also author of the laminated reference guides, Teaching Students with Autism & Asperger’s Syndrome in the Inclusive Classroom, Literacy Instruction for Inclusive Classrooms (co-written with Kelly Chandler-Olcott), and Inclusive PreK and Kindergarten (co-written with Jaclyn Beljung). She directed the documentary film, We Thought You’d Never Ask: Voices of People with Autism. Kluth has been awarded numerous honors in her field and community. 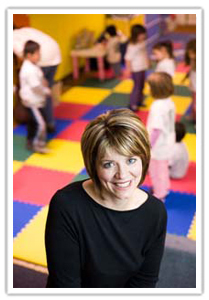 Most recently she was a recipient of the 20 Under 40 University of Wisconsin Alumni Achievement Award for her work with students with autism, and she was named the National Down Syndrome Congress Educator of the Year in 2007.